Availability: Out of stock. Estimated to ship in 2-3 months.. Someone has gone and done a favor for any zombies that pass by. Perhaps the Free Food Prop is merely a peace offering or a diversion of some sort. 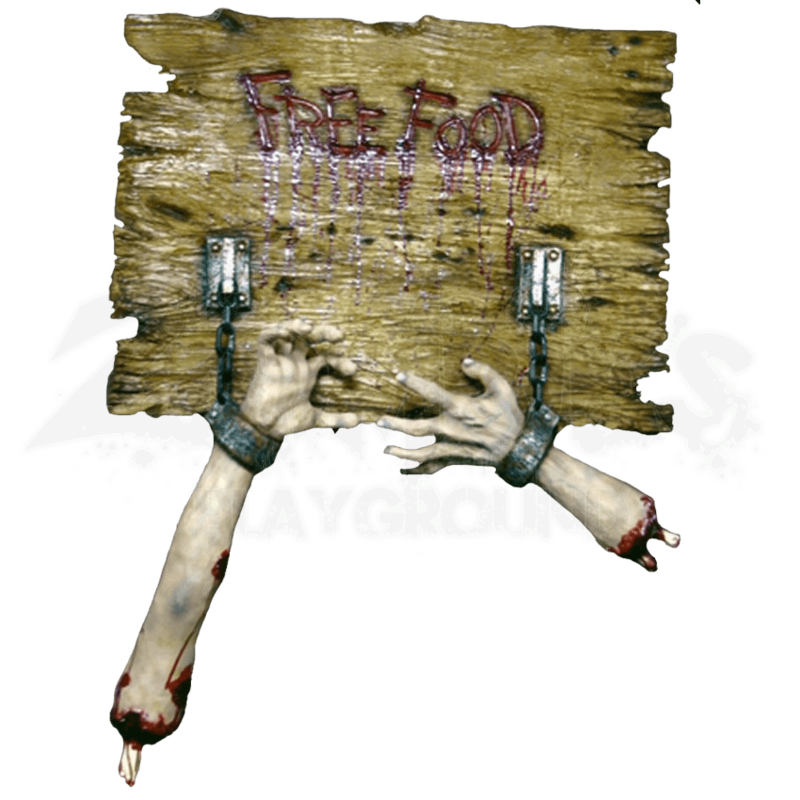 Regardless, this sign is bound to distract plenty of hungry zombies. This impressive prop consists of a large, wood-toned sign that has a rather old, handmade look. Carved into the top of the sign are the words, Free Food. Crimson blood has been used to fill the words, creating a dripping, oozing effect that is quite sinister. Beneath the words are two brackets that hold up two chained manacles. Held securely in these manacles are two arms. One arm is almost full-length from hand to shoulder, while the other is only the hand and part of the lower arm. Bloody, broken bones jut out from the severed stumps. 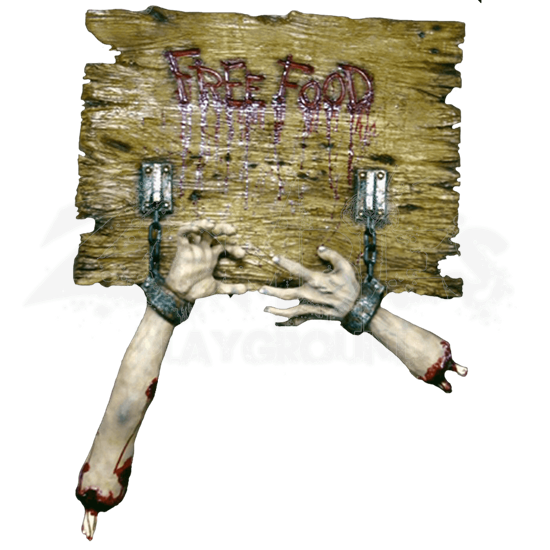 Unquestionably, there is no better way to distract a zombie than with fresh meat, which makes the Free Food Prop the ideal way to deal with a couple zombies, especially if you keep out of sight and leave the hanging pieces of meat just out of reach. Of course, it does have the side-effect of scaring away other living humans too, but no plan is completely fool-proof.